The Ketchikan airport is a little different for access. The facility sits across Tongass Narrows from the city. Access is by a small ferry that regularly shuttles across the channel with passengers and the occasional vehicle. A covered walkway runs from the terminal to the ferry landing to allow passengers to access the ferry in the notoriously wet Ketchikan weather. The famous congressional controversy around the “Bridge to Nowhere” scuttled the effort to build a span connecting the airport and the island to the city. For now the ferry remains the solution. 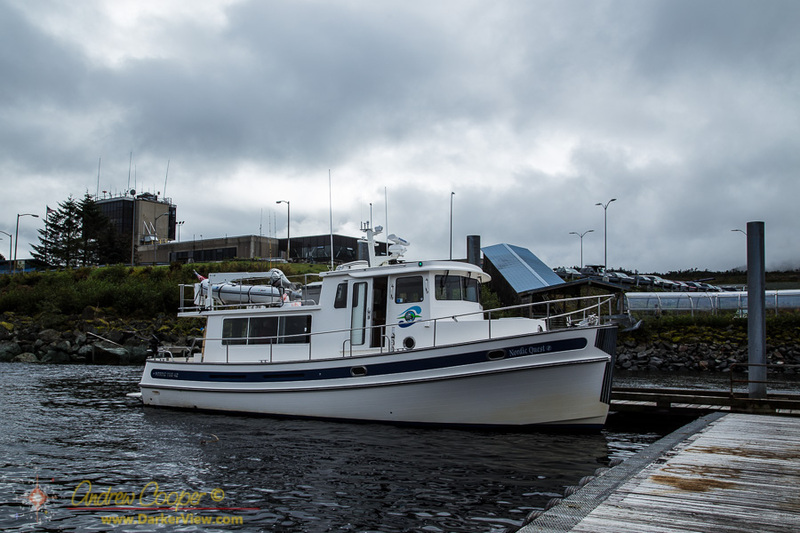 Aside from the ferry there is another option… Boaters should have no difficulty accessing the airport. There is a small craft dock on the south end of the seaplane dock just below the terminal. Here a boat can tie up and passengers can walk right up to the main terminal. We have performed this maneuver, finding it quite convenient. Meeting a scheduled Alaska Airlines flight with the Nordic Quest. We docked about an hour before the flight to debark family members leaving on the flight, waving them goodbye on the dock. After the flight landed other family and friends came walking down the gangway. Yes, the logistics were complex to arrange, but it worked rather well. There is room for two mid-sized vessels on either side of a finger pier at the floatplane dock, out of the way of the aircraft. This should be considered a loading zone, only used when meeting a flight. Baggage carts are free here. 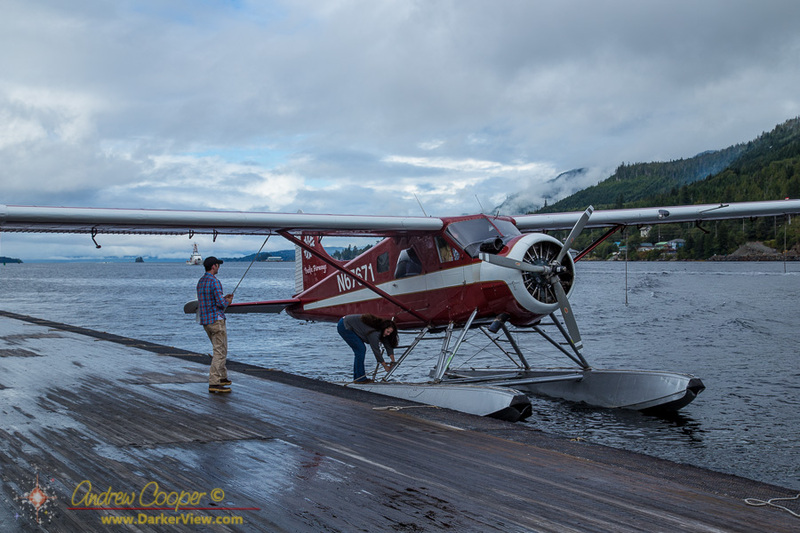 If there is not a cart sitting on the seaplane dock you can run up to the terminal and procure a cart or two for luggage and coolers of fish. 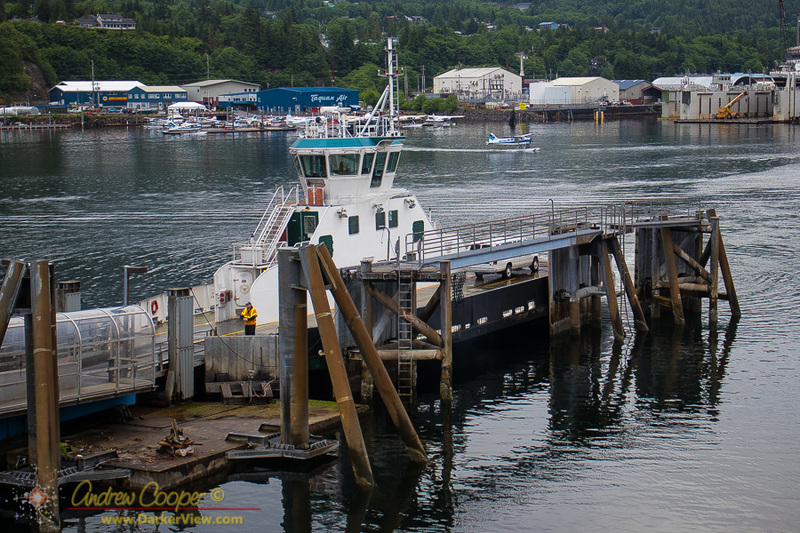 The dock makes the transfer of passengers unusually easy in Ketchikan. No taxis or rental cars needed to get to a marina, just park your vessel at the airport. Good planning and coordination may be required to meet your flight, but it has worked well for us. Need a taxi? Catch the airport shuttle? No. We will just use the boat. This is the only large airport in the world, that I am aware of, that you can actually do this. This entry was posted in Harbor Notes, Travel Hints and tagged airport, dock, Ketchikan. Bookmark the permalink.